Jaya Prada Reveals Want to commit Suicide . 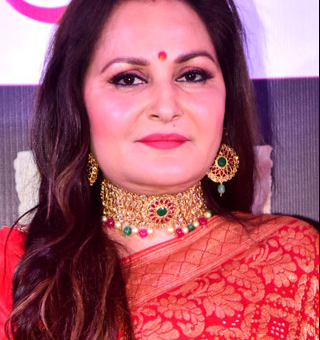 Jaya Prada, who has become Politician from the actress, has been missing from the big screen for a long time, though she is constantly active in the field of politics. Jaya Prada reached the Queensline Literature Festival in Mumbai and made several disclosures related to private life. Jaya Prada told how people added her and Amar Singh’s name. Jaya Prada said, “Many people have helped me in my life and Amar Singh Ji is my Godfather. Amar Singh was on dialysis and my photos were spread out wrongly with them. I was crying and saying that now I do not live anymore, I want to commit suicide. I was in shock and nobody supported me. Only Amar Singh ji stood with me and supported me. Jaya Prada had accused Azam Khan of spreading obscene pictures in the 2009 election. However, after reaching the heights of her career, Jaya Prada turned to politics. Jaya Prada joined the Telugu Desam Party in 1994. In 2000, he left the TDP and joined the Samajwadi Party. It is believed that Amar Singh played a major role in bringing Jaya Prada to the party. When Amar Singh was separated from the Samajwadi Party, Jaya also joined with the National Lok Dal Party.